This week I took a few hours to enter the latest yeast and hops into BeerSmith for you instead of writing a blog article. Many of you have been asking for some of the newest hops and yeasts to be included in a data update – so here it is. First check your version – you should have the latest version of BeerSmith which is 1_40 Build 038 – you can see your current version using the About command on the Help menu. 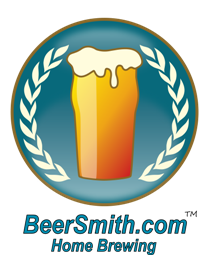 If you don’t have the latest version of BeerSmith, or would just like to give BeerSmith a free trial run, you can download it here and install from our main download page. Once you have the latest version installed, you can use the “Update BeerSmith from Internet” command on the Tools menu to download the new hops/yeasts. You can also do this manually by downloading the files (links below) and using the “Import and Merge” command on the File menu to import them into your Hops and Yeast views respectively (Go to View->Hops or View->Yeast before importing them). The new/updated yeasts are here and hops are here. If you have “Citra” hops and two yeasts from “Brewferm” lab, then the update was successfully installed. A short post this week – but I’ll be back in a few days with a new podcast and post a new article on a new beer style next week. Have a great week and thank you for supporting BeerSmith! The update of my BeerSmith was easy, and I now have the updated yeast and hop files. I updated the yeasts in BeerSmith, but it’s impossible that updating the 2016 yeasts that there is one DCL/Fermentis yeast in the profile. Hi! what about brewferm malts?